Streets Of Avalon will go to the paddock after he runs in the Group Three Victoria Handicap. Streets Of Avalon runs for the ninth time this campaign in Saturday’s Group Three Victoria Handicap at Caulfield. “The leader probably went too hard and Michael (Poy) tried to back off from the leader but it went at too high-a-tempo,” Nichols said. 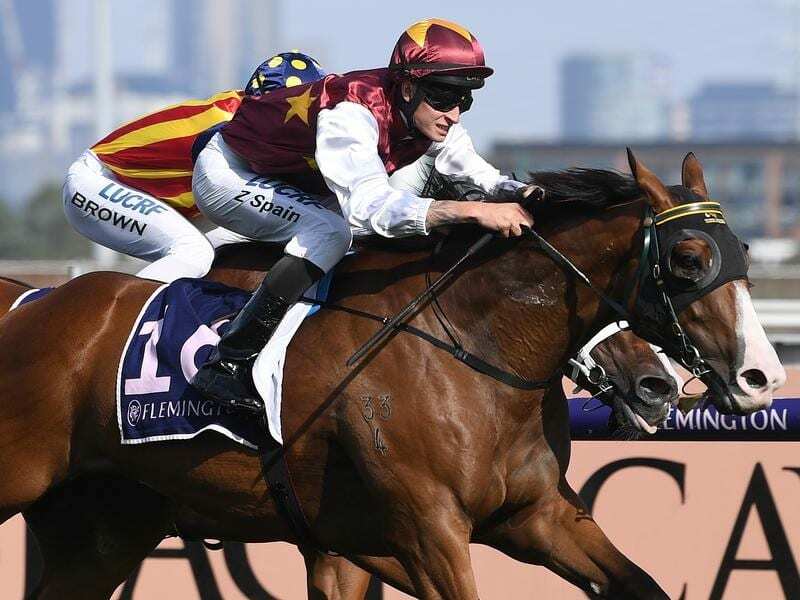 Nichols sees Saturday’s 1400m against eight opponents as ideal, although the field could be reduced with Naantali and Dark Eyes also acceptors for races at Randwick. “There doesn’t look to be a high tempo in it so he should be on speed,” Nichols said. “I’m glad Manolo Blahniq has drawn inside of us, although his last run was very good from an inside gate. “He’s third-up and primed while we’re at our ninth run in and obviously hard fit, but we’ve had a lot of racing and at some stage he’s going to run out of petrol tickets. “With 56 (kg), he’s run well with that before, but when he’s up to 57 or 58, he just can’t quicken like he does with 56,” Nichols said. Nichols says it’s nice to reward Clayton Douglas, who rode Streets Of Avalon to his maiden success at Bairnsdale in December 2017, with a ride in a Group race.